Excellent apartment with own garden. - Close to S-train and metro. 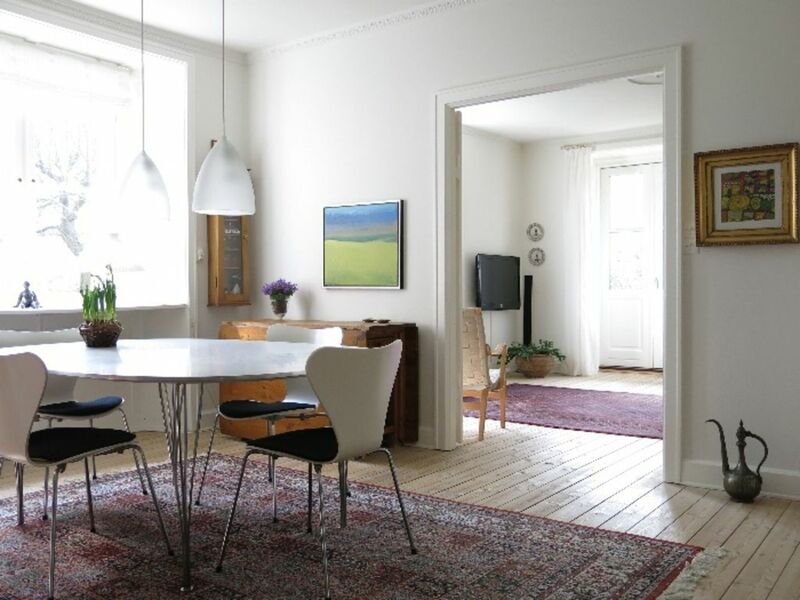 The apartment is located in Frederiksberg, which is known for the excellent shops, restaurants and cafés. You will find yourself close to Frederiksberg Garden, Assistens Cemetery, Frederiksberg Castle and the Zoo. Great cafés in the area include Café Kellerdirk and Café Sokkelund – Only 1.5 km from the apartment the Michelin-awarded Thai restaurant Kiin Kiin is located. "the Wonderfull World of HC Andersen" 3.8 km. The Danish Museum of Denmark 3.8 km. Georg Jensen outlet 1.9 km. Frederiksberg swimming pools 1.2 km. Excellent apartment for two colleagues or a small family. Hall, connected sitting room and dining room with direct access to private garden, master bedroom with double bed, 1 bedroom with extendable sofa bed for two people, combined office walk-in closet, combined toilet and bathroom with shower, kitchen. Wifi, TV with international channels, dishwasher, washing machine. The apartment is located on the ground floor in a building with a lift. We enjoyed our week's stay in this lovely apartment. It was very spacious for the two of us and very convenient to transportation to the center city. Would recommend the apartment for a couple. Well furnished, lots of light and a lovely garden. Excellent apartment. Very good location, well conected by bus and train. Equiped with all the facilities you need to stay confortable. Decorated with nordic design and arts paintings. The garden is marvellous and in general the apartement has an excellent luminosity. This is an easy choice for 2 people, and 3 works easy enough, as the apartment has lots of space, but only one shower/bathroom. There's a useful garden just outside the door, with a perfect table for morning breakfast, or evening wine recap of the day. And It's real convenient to the main parts of the city, with a bike or a bus, or walking. The style is spare and cool. Hygge? And, Copenhagen is such a great city. Winner. The property was spacious and clean. It was well furnished and we enjoyed the garden space. Small grumble was it is not close to the metro more a 10 min walk which is a long walk after completing the Ironman! The area is great with lovely restaurants nearby. The metro was easy to use to get about the lovely city of Copenhagen. Spacious accomodation. Clean and well lighted due to lots of Windows. Nicely decorated with lovely artwork. Good kitchen but small bathroom. Very comfortable beds. Nice dining room and nice living room. Apartment was amazing. Location was awesome. Clean and comfortable.